I promise not to start this out with a line about GMC raising the bar with the new 2015 Sierra Elevation Edition, but I must admit that it’s tempting. 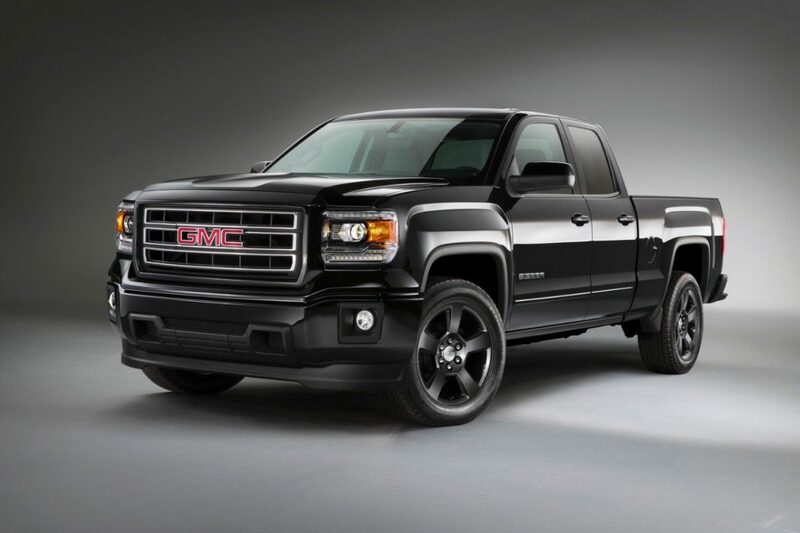 On sale later this year, this is a definite step by GMC to become a bigger player in the sport truck category. The new Sierra is offered with two or four wheel drive with a 4.3-L EcoTec 3 V-6 engine as standard. It delivers 285hp with 305-lb-ft. of torque4 and EPA numbers of 28 mpg. (Although they weren’t provided, I suspect that equates to combined fuel efficiency of about 25 – 25 mph based upon experience. A 355-L EcoTec3 V-8 is also an option. Built on the standard 2015 Sierra 1500 foundation, the Sierra Elevation Edition features a range of sporty details including body-covered grille surround, color-keyed door handles, mirror caps, side moldings and front and rear bumpers for a monochrome appearance. Also standard are premium headlamps with light-emitting diode (LED) lighting, fog lamps and black-painted 20: aluminum alloy wheels. There are also remote keyless entry, power mirrors, a 110-volt AC power outlet and LED cargo box lighting. On the inside, connectivity is addressed with a 4.2: Intellilink color touchscreen audio system and Bluetooth phone conductivity. The Elevation Edition also has OnStar with 4G LTE connectivity which creates an in-car hotspot for up to seven devices. Expect pricing around the time that the Elevation Edition is available late in 2014.